Does life ever feel like it’s just begging for your attention? Trying to repeat something to you over and over? And as you strain your heart and ears to listen, you’re surprised to hear Sean Penn’s voice? No one else? Just me? It was a very-zen-Sean-Penn who caught up with me to deliver a message from ground control as I was sitting on a plane. International flights are where I get to catch up on movie watching. I could watch five in a row without pushing the “there’s-something-else-I-should-be-doing” button. I opted for The Secret Life of Walter Mitty. I hadn’t yet cozied up with this world-travelling movie even though it seemed like a natural go-to for this girl. I think that’s why I didn’t watch it. It was too predictable. Sometimes I avoid wander-lust movies because they just stir me up and make me want to sell everything in exchange for endless world airfare. But on that day, I was en route home from the (truly) best trip I’ve ever taken with my husband. We had just celebrated our ten-year anniversary ala Europe. So I was feeling rather zen myself. I was heart-full of wandering and happy to be on my way home to the house I haven’t yet auctioned off to the highest bidder. 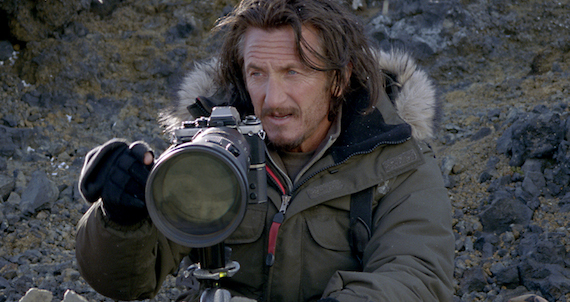 The very-zen-Sean-Penn plays a photographer, and when he has an elusive snow-leopard in his camera sight, perfectly aligned, Walter Mitty (Ben Stiller) asks him when he’s going to snap the picture. Sometimes I don’t, says Sean. Sometimes it’s just for me. The plane stayed straight, but my heart lurched. I’m not a photographer, but I am a writer. So words are my pictures, and I’d been feeling an increasing pressure to “snap every picture”. A lot of this sense of pressure came out of a Writer’s conference I attended earlier this year, to explore taking this writing thing to a new level. To see if something personal might translate into something public. I heard lots of great advice. What-to-do-to-become-a-writer. Or I should say, a published writer. Two very different things. See, it’s one thing to identify yourself as a writer as part of who you are. That requires liking words. It’s an entirely different thing to pursue publishing. That requires being a marketer. And when you dab your toe into that world, words like “platform”, “audience”, “followers”, etc. start dominating too many of the conversations. Blogging is strongly encouraged. I’m still not sure what I think about blogging (as confessed in a blog post – cue irony), mostly because I’m a book girl. Books are, to me, like a long conversation over coffee, and blogs are more like a quick hello at the grocery store. I’d rather read (and write) a book. There are other platform tools too. I won’t go into them here. Because they’re not the point. The point is that the very-zen-Sean-Penn caught me up short, and made me realize I’d been operating under many “should-do-this-moments” in the world of social media and blogging, and I needed to practice saying sometimes I don’t. Sometimes I don’t snap the picture, write the hashtag, post the blog. Sometimes it’s just for me. And let me tell you, it’s been my favorite summer. I’ve seen more sunsets than I’ve posted on Instagram. I’ve been in more conversations than I’ve captured ala blog post. I’ve seen more friends than I’ve tagged on Facebook. I’ve held my husband’s hand more than I’ve held my phone. I needed a summer filled with sometimes I don’t so I could choose the sometimes I do moments. The very-zen-Sean-Penn reminded me that life is about experiencing, not performing. Do you need to hear that today, too? Is there anything you need to … don’t?